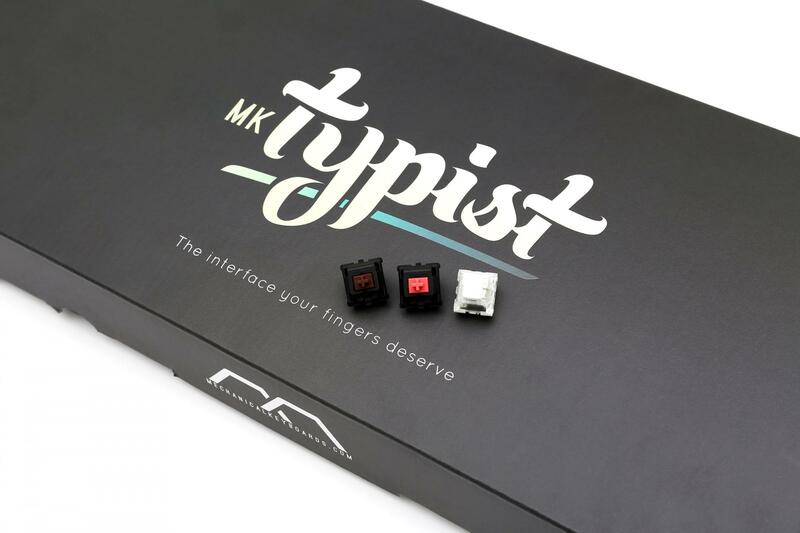 The MK Typist is built for typing professionals. 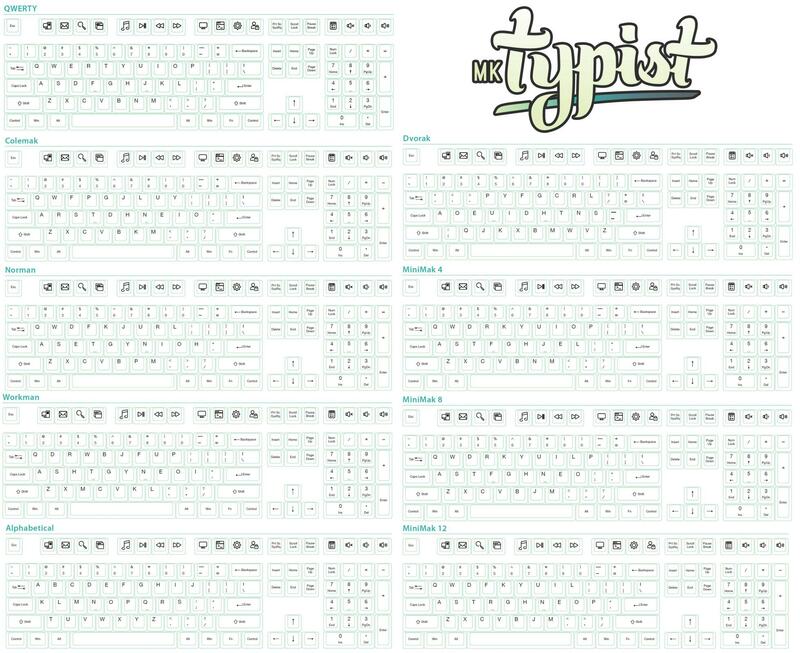 We looked at everything a typing professional cares about in their keyboard and combined it to create the Typist. 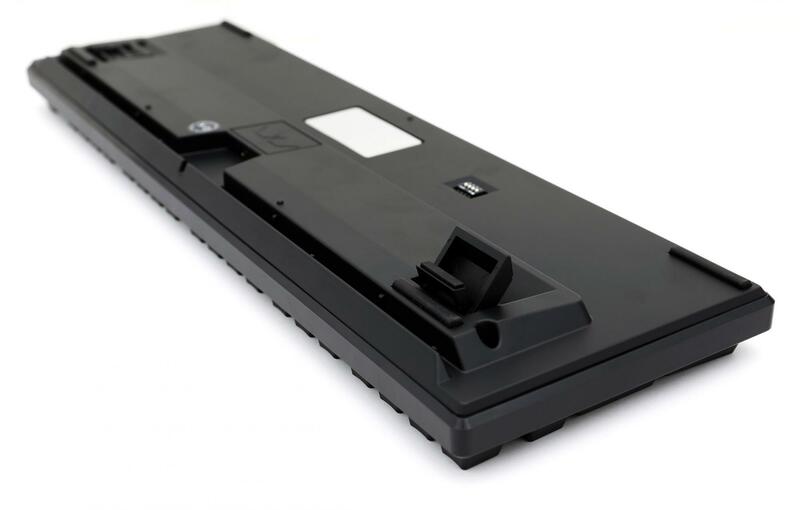 The weight, feel, and internal component stability of the MK Typist are immediately evident when interacting with the keyboard. Compare it side-by-side with another keyboard of your choice to truly appreciate the difference. The classic styling of the Typist fits perfectly in a work environment, standing out through clean edges and quality – not flashy lights or branding. 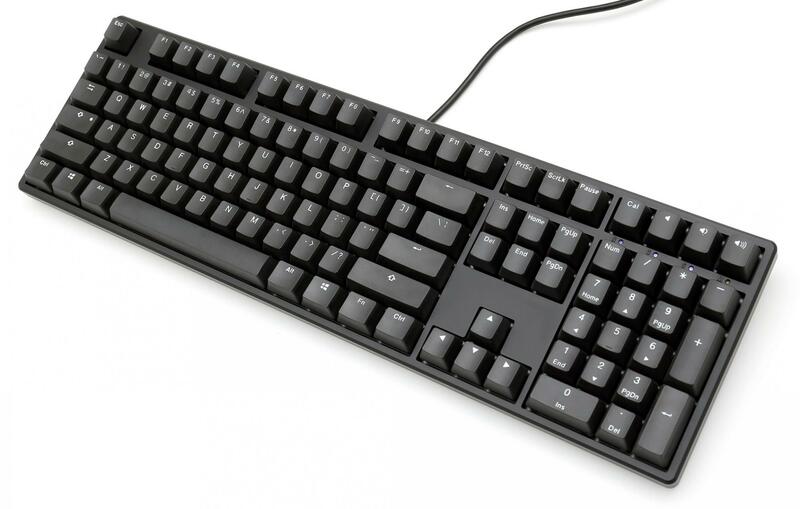 The Typist keycaps are constructed using the industry’s most respected material (PBT) and print method (Double Shot) resulting in caps that will remain sharp, readable, and shine-free through years of use. 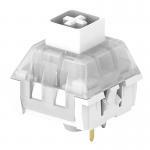 Typist A: Kailh Box White Switches for high audible and tactile feedback. Typist B: Cherry MX Brown Switches for moderate audible and tactile feedback. 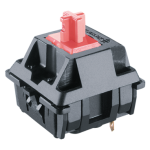 Typist C: Cherry MX Silent Red Switches for minimal audible and linear feedback. 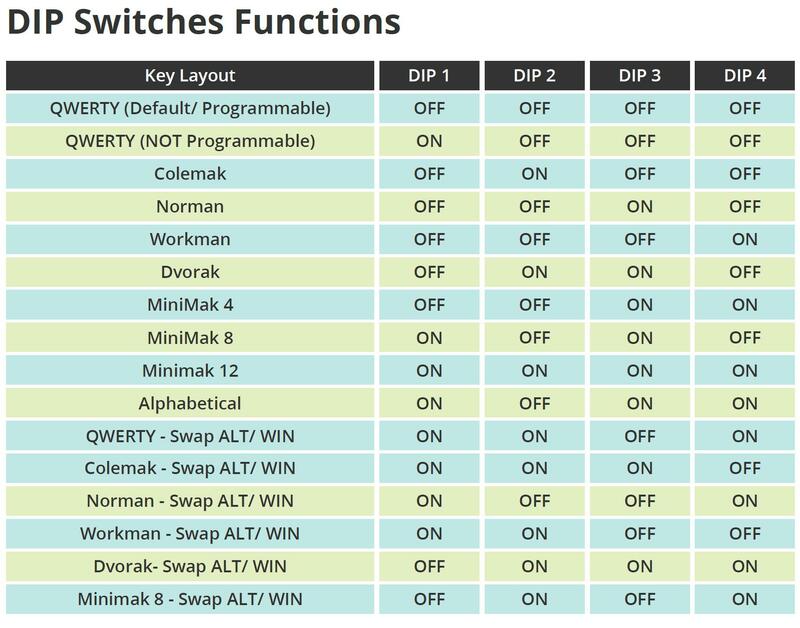 The MK Typist features programmable keys, a USB Type C connection, updateable firmware, and 4 dipswitches that allow users to select from 16 different key layouts including QWERTY, Colemak, Norman, Dvorak, Workman, three Minimak varieties, and even Alphabetical. The MK Typist is the perfect solution for those looking to outfit their office with uniform, high-end input devices without breaking the bank. Have a team of 50 members or more? Contact us about volume discounts. 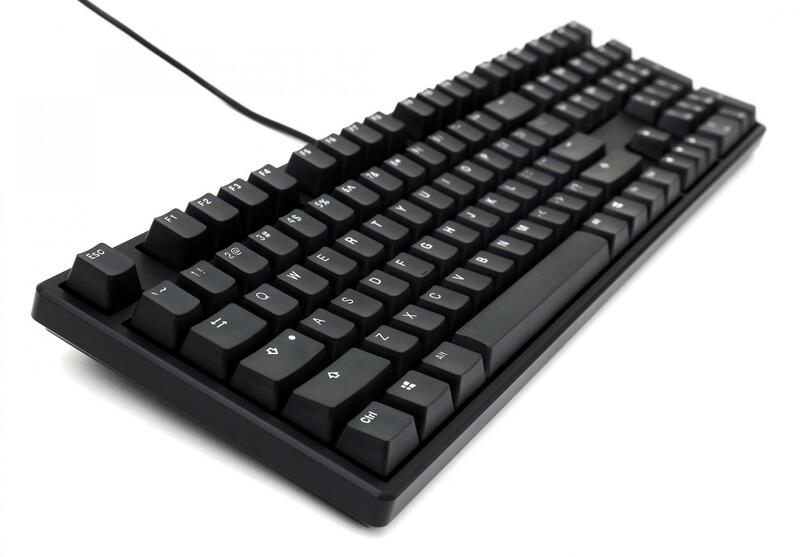 As with all MK brand keyboards, the MK Typist comes with the MK Guarantee which extends the MechanicalKeyboards.com return window from 30 days to 60 days and adds a full year to the keyboard's standard warranty. 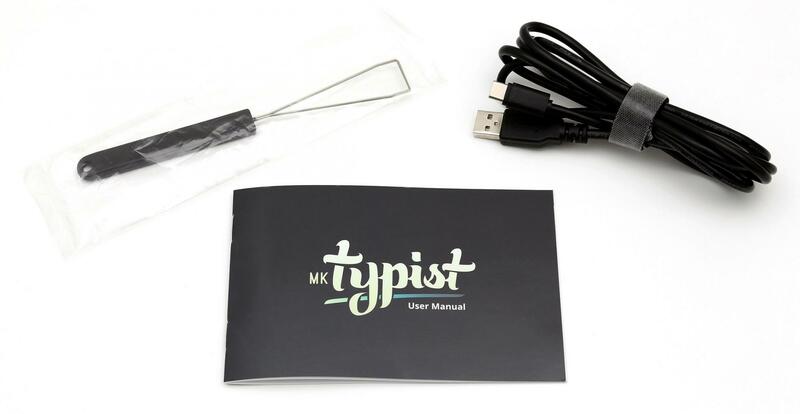 I ordered the MK Typist because I was looking for a new USB-C keyboard for my 2018 MacMini and dislike the current Apple keyboard options for numerous reasons. 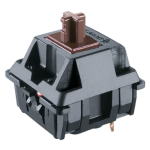 I ordered the model with the Cherry Brown switches as I have my computer in the main living space of my home and didn't want a very loud switch. The key travel is smooth and I am very pleased with the weight of the board (substantial) and the overall quality of the keyboard and key caps. After remapping the Alt, Win, Ctrl keys to match MacOS, this keyboard is great. There is also a hack to modify the Home and End keys as well. I really wish there was an option to order MacOS style keycaps for the Alt, Win, and Ctrl keys, but I rarely look at the keyboard as it is. I originally receive the MK Night Typist by mistake and after contacting customer service they sent me a new board very quickly. Overall, this is a very nice product. 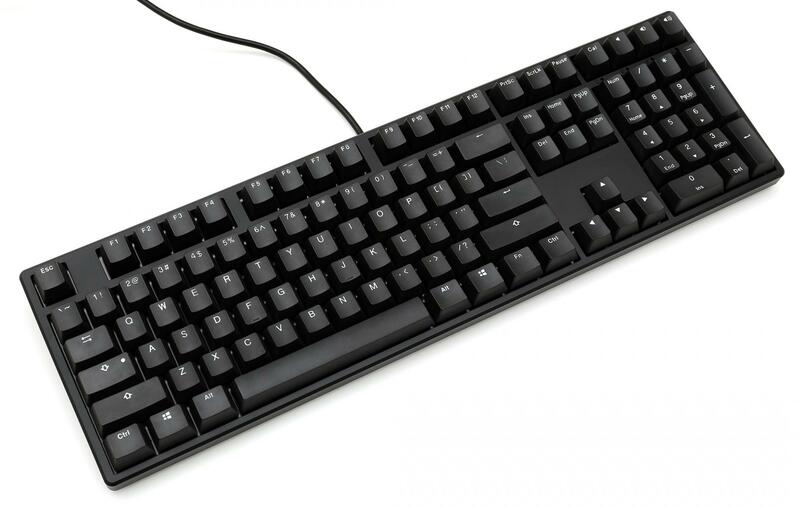 I have this keyboard with the Cherry MX Brown switches and I also have a Ducky One 2 with the same switches. They're both good keyboards, but the MK Typist feels more solid than the Ducky-branded one. I also have a Das Keyboard 4 Pro with MX Brown switches. The MK Typist, IMO, is a far better keyboard than the Das Keyboard one. I used to like having different keyboards and using one or another of them depending on my mood. Since getting the MK Typist, my other keyboards have been sitting on the shelf. It just feels perfect and I don't want to type on anything else. I'm planning to get a second one so I have one at work and one at home. This board, with box whites, is just ludicrously good. No frills, no gimmicks, no branding. The caps it comes with are actually surprisingly good, but after throwing on some SA profile caps it's even better; I'd describe it as almost a "modern Model F" feel. I have (too) many boards, of various makes/switch/layout, and yet I'm coming to prefer this one even to my high-end/artisan/Topre boards. It's a joy to type on. Minor gripes: as has been pointed out, the silliness of the fake LED "light" on the stock Capslock key, and the *insanely* bright status LEDs. I wonder about where the reviewer who complained about the status LEDs' visibility works. To me, they are approximately 100x brighter than the sun. I have an allen wrench over them to cut the glare. I rarely write reviews - maybe I just wrote this as an excuse to type some stuff, which should probably tell you all you need to know. The box white is the perfect switch. The build quality is perfect. The only thing I want is a TKL version and color options because I want to buy more of them. Picked one of these up for work. Great to type on. Box whites don't have a super loud click, so I'm not getting dirty looks all the time. Good design and feel. Quality. This keyboard is a game changer! I have the Cherry MX Silent Red (Typist C) model and love it. My co-workers appreciate that it is *significantly* quieter than my previous keyboard (Ducky One with Cherry MX Browns), and the keyboard is a dream to type on. In fact, I am beginning to think that I even prefer the feel of the silent reds, and I definitely prefer the acoustics. Everything about the keyboard is great. You truly can't go wrong with this one. Wonderful keyboard! I have had this keyboard for about 2 months, and it works great! Really sleek, and great key caps. This keyboard is pretty great. Switches keycaps build = nearly perfect. I really enjoy typing on this keyboard. I ordered mine with the silent reds and it feels great to type on. Not to mention that its great in the office because its much quieter than other keyboards i've used, including ones with key dampeners. The keycaps feel premium, almost as great as the Vortex Poker keycaps, just not as smooth on the top side, but that's a good thing as i'm not a fan of really smooth tops (think code/wasd keyboard abs caps). The combination of the keycaps, switches, and build almost make it feel like a topre keyboard, but w/o the bump since these are red switches. All in all, great build, great quality, and awesome typing experience, just like the name says, this is for the typist! This is the perfect keyboard for work (office environment). Absolutely silent, no RBG, simple, clean and professional design. This was exactly what I was looking for. Top notch quality keyboard. I was very surprised about the build quality when I received it. Even after coming from an expensive topre keyboard and Ducky Shine 5. I've been told that this keyboard was manufactured by Ducky, though it seems to be of better quality than Ducky's own keyboards. The spacebar does NOT rattle like the Ducky I have. Keycaps have a nice rough surface to them. The keycap puller is a nice extra to be included! The only minor complain is that the space around the USB C port seems to be small, so if you have a thick USB Cable, it is a tight fit. Please continue to make this keyboard! I just picked one of these up for work and I am very happy with the purchase. Went with the Brown MX Cherry's because I wanted a nice tactile feel but didn't want to piss off my co-workers with a really clacky switch. I like how the keyboard is well made, sturdy, and has a nice overall feel. 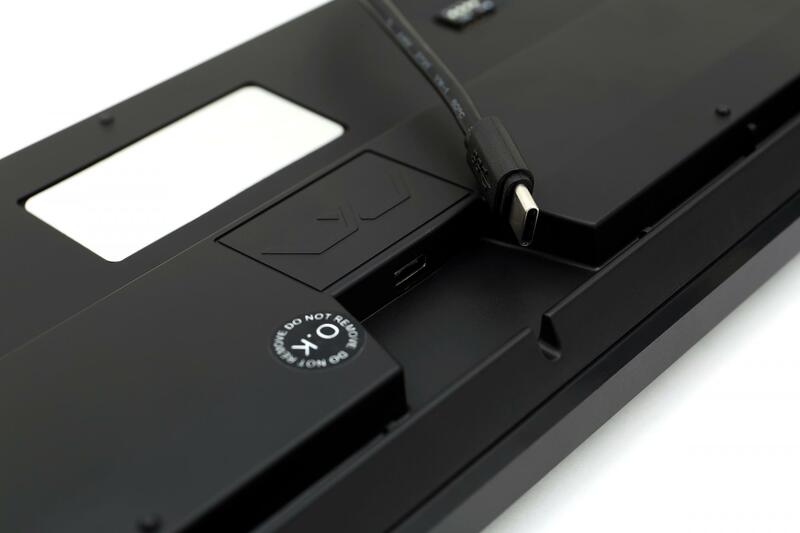 It has a detachable USB-C cable which is nice, and can be set at three different heights with the fold out legs. The fold out legs have a nice rubber pad at the bottom which helps keep the keyboard in place. It also has some nice macro keys such as a calculator key and volume control keys. It took a while to get used to since I've been typing on a membrane pad at work for years. 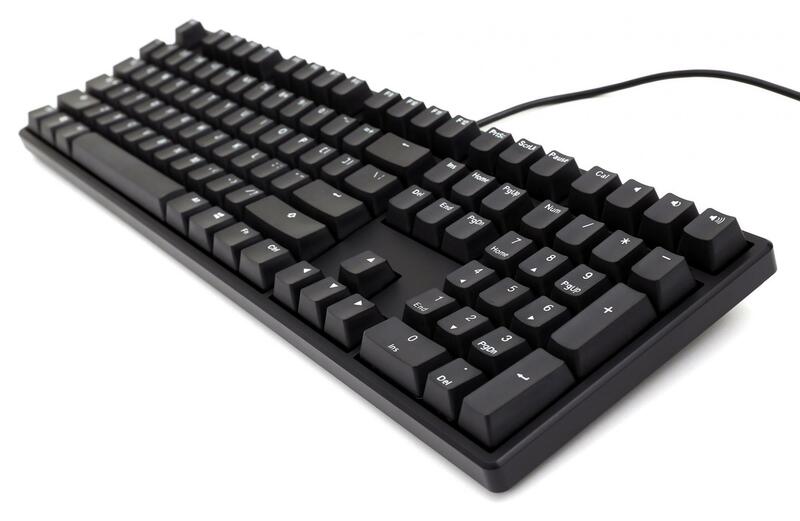 I use a Ducky One 2 TKL with Silver MX Speeds at home and I feel like the quality of the MK Typist matches Ducky. The key cap set on the MK Typist is different than the One 2, its less smooth but not in a bad way. Both keyboards have double shot keys so they are very similar. 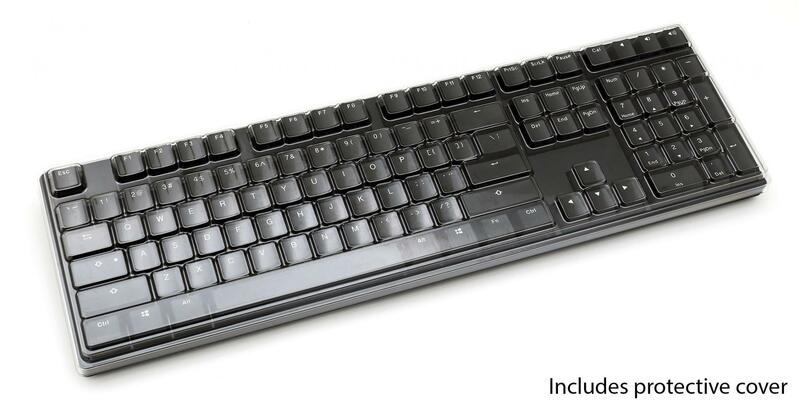 If you are looking for a non-descriptive, no frills keyboard that just works, then this is the one for you. Have used it for two weeks now at work for 8-10 hour days and have zero complaints. I've been using this keyboard for a few days at work now and I absolutely love this keyboard! Very solid construction, nice weight, the silent reds are perfect for a close work environment, and the PBT key caps have a nice texture. My only gripe is not being able to see the indicator LEDs behind the number pad keys. I think the addition of a caps lock LED on the left side under the key itself would be a nice addition. If you're looking for a rocksolid, nonflashy keyboard for productivity, this is a great choice. This is a wonderful keyboard. The switch action is satisfying, with just enough resistance, and the response time is fantastic. I have many other boards, and this is by far my favorite for typing. The box white switches are just enough easier to press than Cherry Blue. I needed a keyboard for work. I looked for a long time and never found anything that really matched what I wanted. except for this keyboard! It's amazing! Very solid keyboard that is a pleasure to type on. Much more solid feeling than the Corsair Strafe RGB Silent (also has the same Cherry Red Silent switches). The keys on this MK Typist board feel solid and have no ringing when pressed. This is the perfect keyboard for a professional office environment. Quiet, professional looking, with some useful features (I like the calculator key especially). The PBT doubleshot keycaps feel great. My only dislikes on the board are the fake LED dot on the capslock key (the capslock LED is over on the upper right) and the placement of the indicator LEDs. When seated and typing, the LEDs are hidden behind the top row of the tenkey group. I can only see the LEDs if I sit up and look over the keys. Minor nitpicks. An overall great board! I was looking for a mechanical keyboard to fit my needs for weeks. I needed something that was low profile enough to bring to work without attracting attention of my I.T. department. I strongly feel I found the perfect keyboard for my needs! It feels amazing and has excellent stability and build quality. I really like the fact that there is no brand labeling, the key font and symbols are professional(in my eyes), and USB-C is awesome! The addition of macro and various layouts is a big plus. As someone that's used this keyboard at a terminal all day for over a month, I approve this keyboard for work!! !